One of Hollywood royalty’s favorite designers, Romona Keveža has dressed some of the world’s most beautiful and influential women: Angelina Jolie, Lady Gaga, Taylor Swift, Sofia Vergara, Jennifer Hudson, Kendall Jenner, Jane Fonda, Ariana Grande, Scarlett Johansson, Angela Bassett, Jennifer Lopez, Oprah Winfrey and many more. 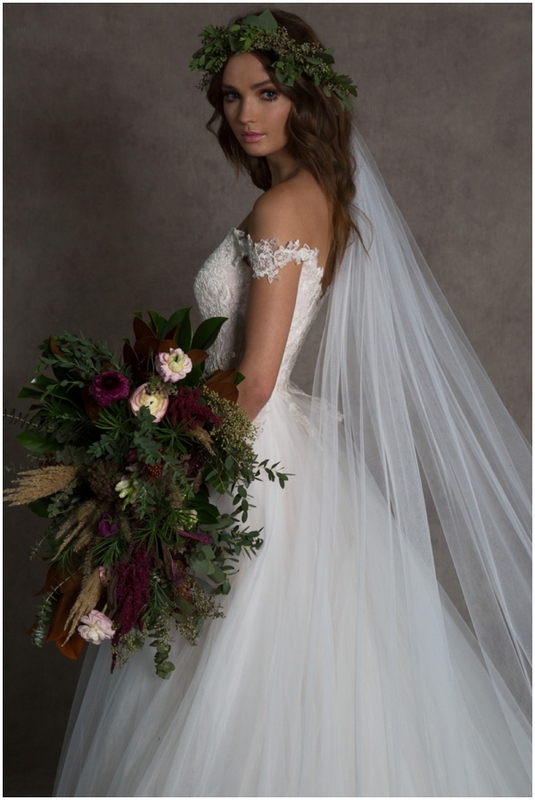 In 2017, Romona Keveža launched ROMONA New York, a line that is fresh, youthful and spirited allowing more brides access to Keveža’s signature aesthetic. 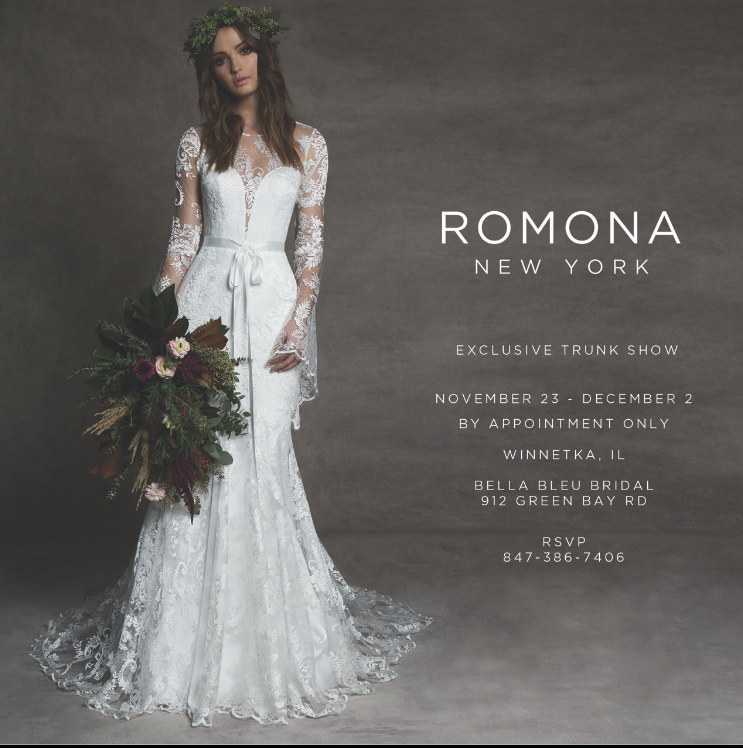 We are so excited to welcome ROMONA New York to Bella Bleu Bridal for an exclusive Trunk Show, running November 23 – December 2, 2018. Here’s your first look at the stunning gowns that you’ll have access to! Book your appointment for this Trunk show by clicking this link. See you there!